The immune system is complex, multi-leveled and multi-component. [ref]Its complexity and numerous components, which are not independent or separable for study, has led to confusion in the designation of its sub-systems. (Author’s opinion. )[/ref] Even though much has been learned about it in recent decades, it is still under intense investigation. The first line of defense against pathogens is largely mechanical or chemical. It comprises such things as the skin, which forms a natural barrier to keep things out; the mucus in our respiratory system, which captures microbes in the air we breathe and, by means of tiny hairs – cilia – drags them back up to where we can swallow them[ref]Yuk. [/ref]; and the gastrointestinal system, which is highly acid and can therefore kill many invaders. Non-professional APCs include all nucleated cells in the body. [ref]Reminder: red blood cells lose their nuclei. [/ref] They are not phagocytes, but they nevertheless display class I MHC (MHC I) complexes of internal pathogens, such as viruses which have reproduced within the cell. 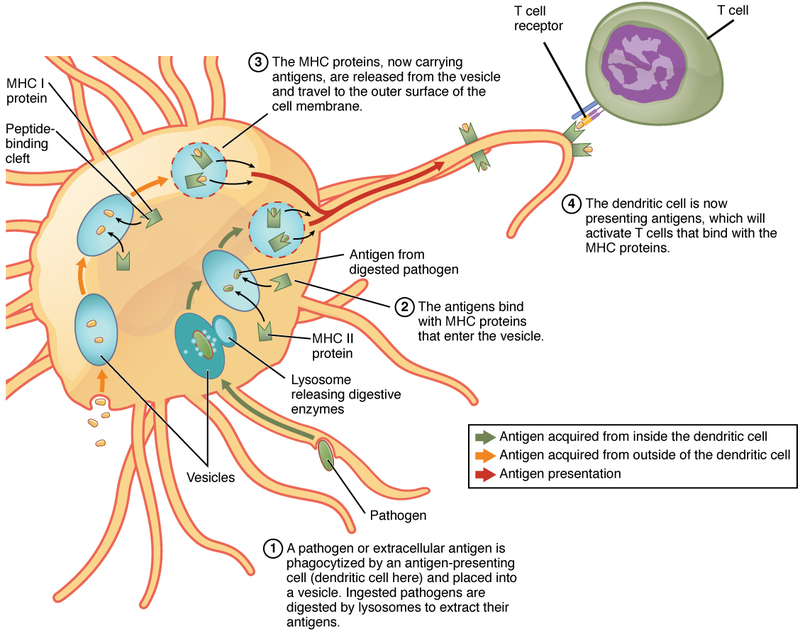 When a macrophage phagocytizes a pathogen, it passes antigens on to the lymphocytes. 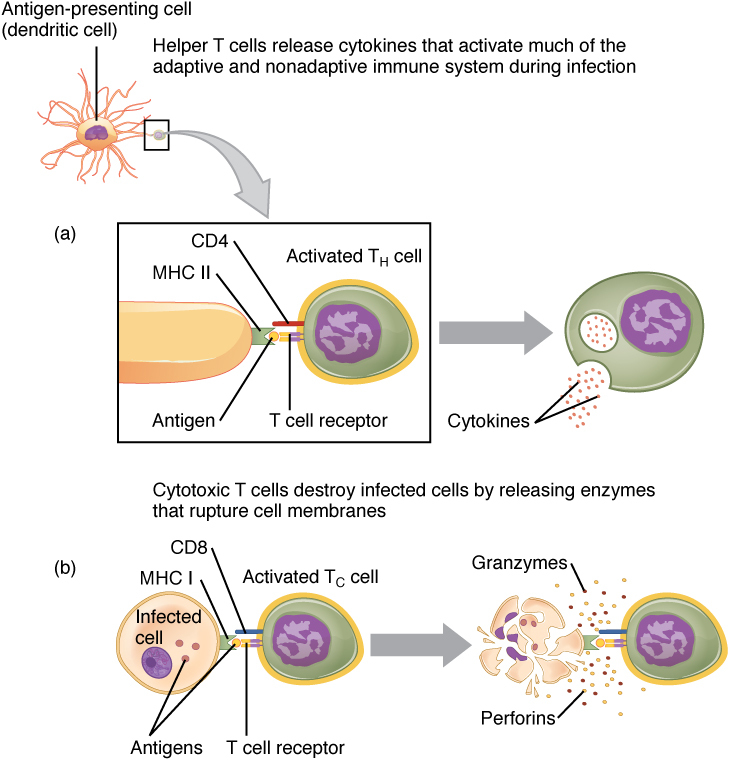 When a lymphocyte receives its specific antigen, it becomes activated and reproduces abundantly. (B cells also require the help of special T cells, as we shall see in a moment.) Activated B cells produce antibodies. Groups of antibodies or T cells activated by and sensitive to a specific pathogen are called clones. [ref]A clone is not a simple copy, it is a set of copies sensitive to a specific antigen. [/ref] Cells of a clone therefore share the same antigen receptors. 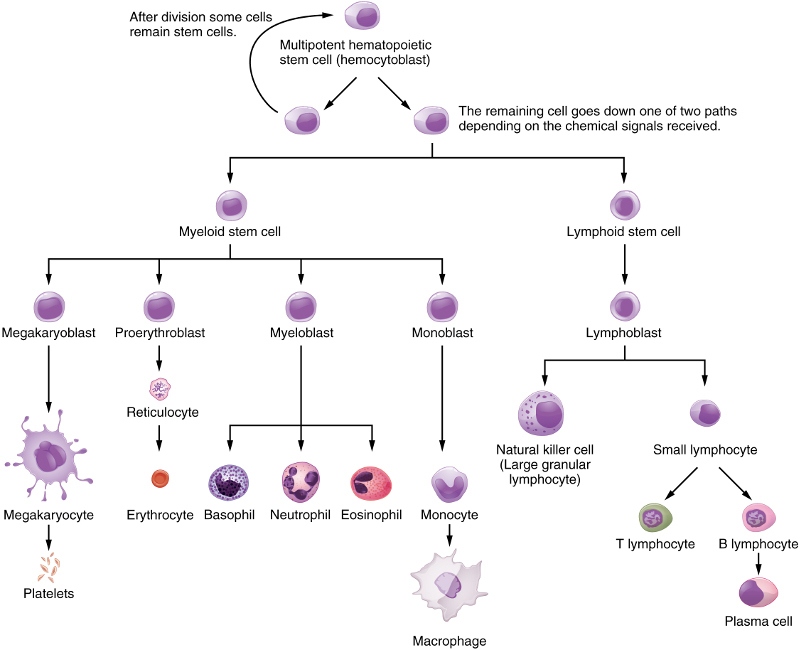 Only lymphocytes which are activated by an antigen reproduce and multiply into clones, so the process can be seen as one of natural selection. Only activated cells survive and reproduce.